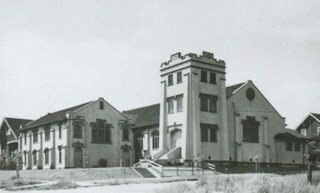 Photograph of the Vancouver Heights Church. 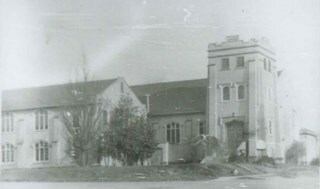 Photograph of Vancouver Heights Church at Ingleton Avenue and Albert Street. 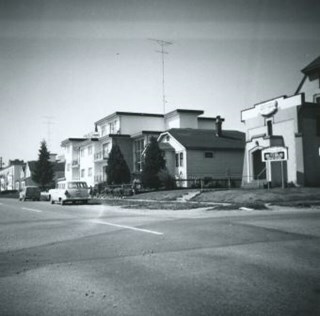 Photograph looking west along the north side of Albert Street from the 3900 Block. 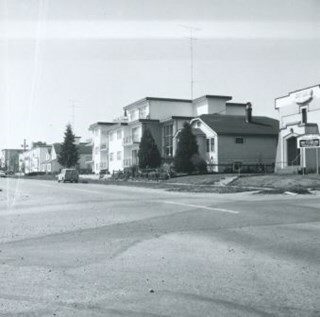 At the far right can be seen the Vancouver Heights Baptist Church, at the intersection of Albert and Ingleton Avenue. Photograph of four boys on the steps of Vancouver Heights Baptist Church taken in 1934. 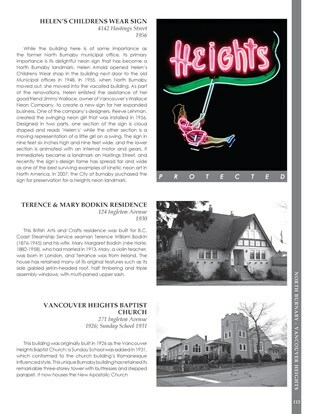 Caption on original matte read: "Vancouver Heights Baptist Church, now Burnaby North Baptist Church. Top row: Cecil William, John Murray, George Thomas; front: Victor Harris.". Older John Murray can be seen in front of the same church in photograph BV017.32.28. Photograph of group standing in front of the Burnaby North Baptist Church on the occasion of the 75th Anniversary of the church. Taken in October 1987. Caption on original matte read: "Mae Murray, grandson Scott Burke, daughter Sharon Burke, and John Murray. 75th Anniversary of Church". Young John Murray can be seen on the steps of the same church in photograph BV017.32.27. Photograph of the north side of 3900 Albert Street, looking west. 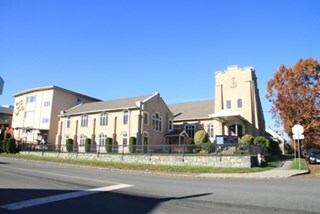 The Vancouver Heights Baptist Church can be seen to the far right (at the corner of Albert Street and Ingleton Avenue).